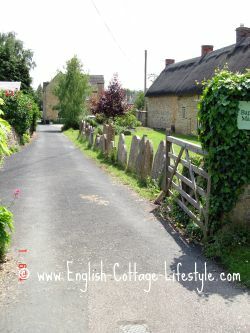 English Country Cottages cosy, charming and in harmony with the countryside. They are the rustic beauties of the British Isles. When travellers visit England, or when we Brits return from travel abroad, one of the most pleasing sights is that of the cottage with its cheerful garden and dripping thatch roof that gives us the impression of rural bliss. You will find them nestled among the trees growing out of the countryside, approachable and welcoming, built by handmany years ago and lived in by generations, they still stand, a reminder of a more romantic perhaps gentler time.They represent the idea of the "good life" and all though over time the cottage and cottager has endured a lot, thankfully this history is behind us. Their charm is that they are approachable, they are smaller than the English country or manor house and less imposing. Some are more stunning than others but they all grow from the landscape in which they belong. Each area of England has its own style of cottage. It is combination of the complex geology of the British Isles and a local vernacular tradition of building that makes them unique. In the limestone belt of England you can find the stone cottages.The West Country has enchanting cob cottages, and in the once heavily forested areas of England you will find the timber-framed cottages. This section is dedicated to England's country cottages. In here you will find information about the history and types of vernacular architecture of England's traditional country cottages. "Cottage has a charmingly sweet sound, and is, perhaps more suggestive of comfortable thoughts than of anyother word in our language, but that of home." I consent to you using my information only to send me your monthly English Cottage Lifestyle E-Zine. I understand that I can unsubscribe at any time by clicking the unsubscribe link at the bottom of any email. Use the information on this site entirely at your own risk. No responsibility is accepted for any reliance on information contained on this site. Your use of this site indicates acceptance of its terms. © Copyright 2010-2018. Helen Green www.English-Cottage-Lifestyle.com. All Rights Reserved.